All teachers at the Claire School of Dance are performing artists as well as experienced teachers. Our teachers have performed at Houston Ballet, Ballet West, Hubbard Street, Dominic Walsh Dance Theater, Alley Theatre, Diverseworks, and abroad. Roxanne Claire is the owner and director of the Claire School of Dance, and director of Summer Magic art camps. Ms. Claire is also a writer, choreographer, photographer, and video artist. 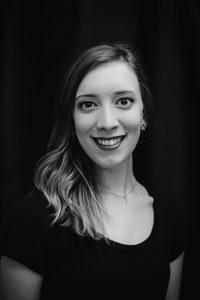 A certified teacher in the American Ballet Theatre National Training Curriculum, (primary through Level 3), Ms. Claire received her training in modern dance in Paris, where she studied extensively with Jean Gaudin and Ruth Barnes. Also part of her background are workshops with Carolyn Carlson, Suzanne Linke, Angelin Preljocaj, Mark Morris, and Sean Curran. She received her training in classical ballet in Omaha, Nebraska, from Valerie Roche (Royal Academy of Dance, London). With over 20 years of teaching experience, Ms. Claire has developed and trained others in her own curriculum for teaching dance and movement to small children. As director of Summer Magic, she has developed art curricula for a variety of camps. Recipient of a Diverseworks residency, Ms. Claire’s choreographic work has been shown in Houston, San Francisco, and abroad. In August 2018, she was invited to perform at the International Festival for Contemporary Dance in Mexico City. In addition to her personal choreographic work, Ms. Claire produced and directed annual productions of her New York Nutcracker, an original production for Claire School of Dance students, from 2002 to 2015. Ms. Claire’s video work has been shown at film festivals both in Houston and abroad. In September 2018, one of Ms. Claire’s videos, "Marked," will be shown at Frame x Frame Dance Film Festival, a co-production of Frame Dance and Houston Ballet. Ms Claire was the recipient of a Texas Filmmakers Grant for her video, "Ritual of Remembrance." In February 2018, Ms. Claire presented an exhibition of her photographs entitled "The Women in My Family All Sewed" and the installation "My Bedroom the Year of My Awakening." In August 2018, Ms. Claire was invited to perform at the International Festival of Contemporary Dance, held in Mexico City. Ms. Claire also holds a J.D. from the University of Nebraska. Some of Ms. Claire’s work can be found online at roxanneclaire.com. Reagan Israel began dancing in Sugar Land, Texas, where her love of the art was cultivated by Sharon Valant for ten years. In high school she danced with Ballet Forte, a pre-professional Regional Dance America company, where she studied ballet and modern and performed in classical and contemporary ballets. Throughout her teenage years, Reagan attended RDA festivals as well as summer intensives at Ballet Magnificat and the Atlanta Ballet. She also trained at Ballet Center of Houston under Victoria Vittum and performed with the Houston Repertoire Ballet and Sandra Organ Dance Company. After high school, Ms. Hand became a trainee with Ballet Magnificat and moved to Mississippi to study and share the gospel through dance full time for three years. After sustaining a chronic injury, Reagan left the stage and began teaching in 2012. She is passionate about the arts and hopes to encourage the pursuit of excellence in her students. Ms. Hand has been trained and certified by the American Ballet Theatre in their National Training Curriculum in Primary through Level 3. She also holds a bachelor’s in Psychology and English and teaches Latin at a private school in Houston. Rebecca Blackshear grew up dancing throughout the Houston area, receiving classical ballet training with Houston International Ballet Academy and Kennedy Dance Theatre under the tutelage of former prima ballerina, Milena Leben. In 2009, she was accepted into the Ballet Magnificat! trainee program in Jackson, MS where she furthered her professional training and performing. In the summer of 2012, Rebecca was offered a full-time classical ballet teaching position in Lilongwe, Malawi for African Bible College Christian Academy. Along with her teaching partner, Rebecca was instructor to over 100 academy students. Upon her return to the U.S., she performed as a company member with Ad Deum II, a professional contemporary Houston-based company from 2014-2016. She has also traveled to work with Springs Dance Company in London, England in 2015 & 2016. 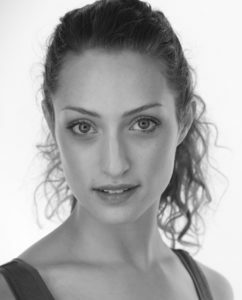 Currently, she is a professional freelance dancer and was most recently cast to perform in a new work by local choreographer, Tehilah Hartmann, for Choreographers X6. 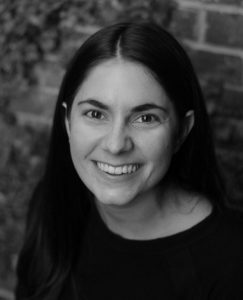 In addition to teaching at the Claire School of Dance, Rebecca is currently on staff as a ballet instructor for the Academy at the Houston Ballet. Melissa Pritchett is an Alley Theater Company Artist who has appeared in The Farnsworth Invention, Rock ‘N’Roll, Eurydice, Cyrano de Bergerac, Othello, Death on the Nile, Treasure Island, Hitchcock Blonde, Much Ado About Nothing, Black Comedy, Witness for the Prosecution, The Miser, The Pillowman, After the Fall, and A Funny Thing Happened on the Way to the Forum. Other theatre credits include Broadway 2003 (directed by Ann Reinking at Tampa Bay Performing Arts Center), Beauty and the Beast, Brigadoon (Theatre Under the Stars), Fiorello!, Pal Joey, On the Town (Bayou City Concert Musicals) and Footloose (Great Caruso). As a dancer, she was a principal dancer for Longview Ballet Theatre and locally with Sparacino Company Dancers. Her training includes the Broadway Theatre Project 2003 with Ann Reinking and Ben Vereen. In addition to choreographing for the Claire School of Dance, she has choreographed several shows for Bayou City Concert Musicals including One Touch Venus, Finnian’s Rainbow and Fiorello! She holds a B.F.A. in Musical Theatre from Sam Houston State University. Melanie received her dance training at Ballet Austin. 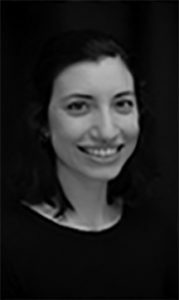 Currently on staff with Houston Ballet‘s Outreach Program, Melanie has pedagogy certificates from both Ann Green Gilbert’s Creative Dance program in Seattle and from Progressing Ballet Technique. Her performing background ranges from ballet ("The Nutcracker," "Tarantella,") to touring with Weird Al Yankovic. At the Claire School of Dance, Melanie teaches creative movement as part of our Early Childhood Program. Katey Tidwell, originally from Alabama, has been dancing since the age of five. After moving to Houston in 2002, she studied at The Humphreys School of Musical Theatre, The Tribble School at Masquerade Theatre, and with Penny Tschirrhart in the IB Dance program at Lamar High School. 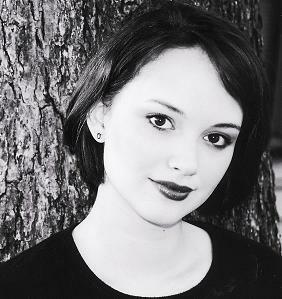 Katey received her BA in Dance from The University of Houston where she was a member of the UH Dance Ensemble. While there she trained under Karen Stokes, Teresa Chapman, and Becky Valls. She has also worked with Jackie Nalett, Sophia Torres, Jhon R. Stronks, Leslie Scates, Sara Draper, and Jennifer Sommers. In 2017, she attended a teacher training at Axis Dance Company in Oakland, CA. Katey works with The River Performing and Visual Arts Center and the Houston Ballet where she teaches dance and musical theatre to children with disabilities. Her work with The River includes instruction and choreography with the Performance Troupe and onsite classes as well as outreach with multiple elementary schools in the Houston area. She has been teaching with Houston Ballet’s Education and Community Engagement Program since 2013. Maureen Kelley spent most of the past decade based in New York City while performing professionally across the country. Originally from Michigan, Maureen is a proud alumna of the University of Michigan, where she earned a Bachelor of Fine Arts degree with Highest Honors. While attending the University of Michigan, Maureen was awarded the Suzanne H. Butch merit scholarship, performed classic works of Martha Graham and many works by contemporary choreographers, and presented her own choreographic works. Maureen’s classical training also includes summer study with The Graham School in NYC, The American Dance Festival in Durham and American Ballet Theater in Detroit. 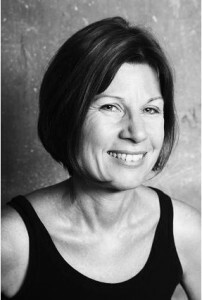 Maureen’s favorite professional credits include Irving Berlin’s White Christmas (Ogunquit Playhouse), 42nd Street (The Art Center of Coastal Carolina), Rock of Ages (The Gateway Playhouse), The Producers (Arizona Broadway Theatre), Wonderful Town (The Gallery Players) and Seven Brides for Seven Brothers (The Fireside Theatre). More can be found at MaureenKelley.net. Maureen is thrilled to be sharing her love of dance and inspiring the next generation through teaching at the Claire School of Dance! Lauren grew up in Beaumont, Texas, training at Marsha Woody Academy of Dance and iRule Dance Studio. She continued taking dance on a collegiate level at Belhaven University and then at Lamar University, graduating with a B.A. in English and a minor in Dance. Post graduation, Lauren danced with Ad Deum II Dance Company, Spring 2014- Spring of 2016. 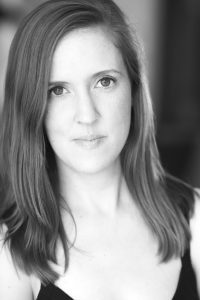 Lauren has performed works by Randall Flinn, Shizu Yasuda, Durell Comedy of Limon Dance Company, and Dani Hammack of Martha Graham. While a company member of ADII, Lauren performed nationally at Project Dance Houston and NYC. Her international performance experience includes cities throughout Spain and Hungary, where she performed and taught in children’s homes, juvenile detention centers, prisons, and churches. She is currently a member of Bridge Dance Collective, which exists to connect dancers with Christ-centered community and to provide opportunities for dancers to use their gifting to impact the city of Houston. 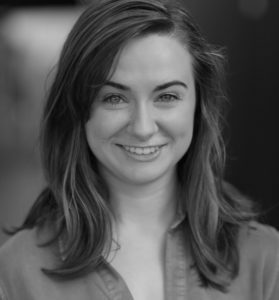 As a choreographer, Lauren has choreographed for multiple musical productions, including Seussical the Musical Jr., 101 Dalmatians Jr., and Willy Wonka. Lauren has also spent several years teaching dance, working with a wide age range of students in varying classical techniques. This is her second year teaching at Claire School of Dance and she is so happy to be a part of the team! Cynthia was born and raised in El Paso, Texas and has a background in acting, singing, and dancing. 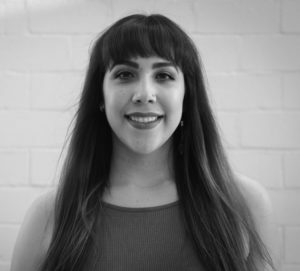 She’s received a Master of Fine Arts Degree in Dance from Sam Houston State University, a Bachelor of Fine Arts Degree in Dance Performance from the University of Texas at El Paso, and an Associate of Arts Degree from El Paso Community College. Her dance training includes 21 years experience in styles such as Tap, Jazz, Modern, Ballet, Hip-Hop, Folklorico, Flamenco, and Aerial Silk. Cynthia has taught various levels of Tap, Jazz, and combination classes at The British Ballet Academy, Sam Houston State University, The Houston Metropolitan Dance Center, and Claire School of Dance. Cynthia has also had work presented at the American College Dance Association, Comedy Dance Festival, and Bailando Dance Festival. She has had the pleasure of dancing for artists such as Sean Curran, Erin Reck, Dionne Noble, David Deveau, Andrea Vazquez-Aguirre, and Myron Nadel. She has been seen in shows such as Chess, In The Heights, Monty Python’s Spamalot, West Side Story, Singin’ In The Rain, The Producers, and VIVA! El Paso. Cynthia has a love for all things art and embraces her theatrical and collaborative voice as a part of her creative soul.